Barbie has been a surgeon, pet stylist, astronaut and now she's adding game developer to her extensive resume. 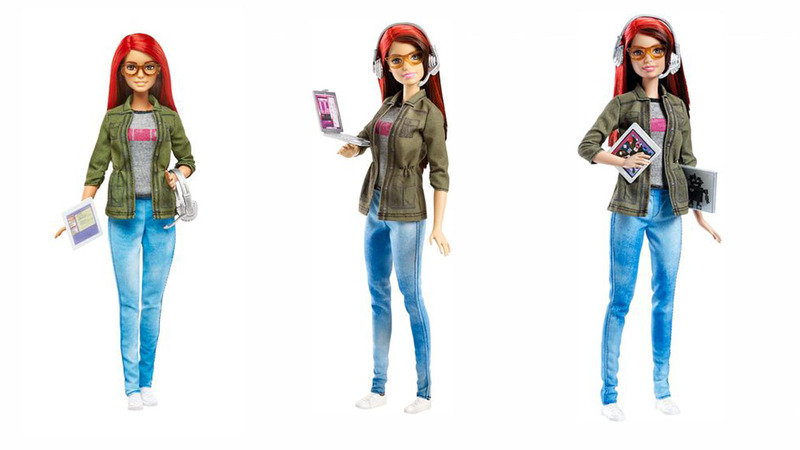 The most notable change; however, Barbie is now a redhead. Barbie partnered with Molly Profitt, CEO of Ker-Chunk Games, LLC to create the Barbie Game Developer doll. The industry-inspired fashion is a graphic t- shirt, denim-like pants, green jacket and most shockingly white sneakers. Barbie was able to wear flats for the first time last year when the doll was given adjustable ankles. Mattel says that the doll encourages teamwork and an understanding that there are many aspects to making a game from storytelling, graphic design, audio design and computer programming. The doll will be sold for $12.99.